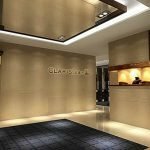 How to design and build a customized jewelry display cabinet? 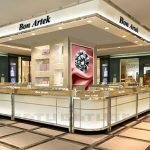 How to design and build a customized jewelry display cabinet? to design and build a display case . There are several important notes to be aware. Here blow are 3 practical principles you can get. Jewelry shop display cabinet is generally facing up to 3 parts: back high cabinet, middle island counter, front low stairs side view, Choose different ways of placing topics in different situations. A unique retail kiosk display must have the ability to attract customer’s eye contact. Different types of display cabinets should form different groups of furnishings; Pay attention to different suits. When talking about jewelry, the first thing that comes to mind is diamond rings, gold and jewelry. But is that all you need for jewelry classification? Jewelry is actually a lot of categories, there are gold, silver jewelry, silver, platinum, amber, Pekin jade, PI xiu, pearl, jade and so on. 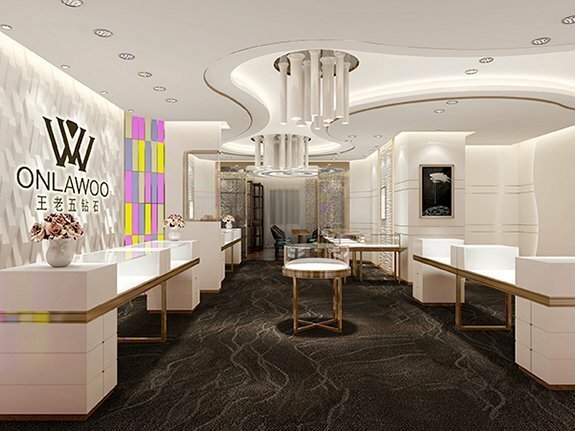 So, in the jewelry store decoration planning, designer need to plan different areas to sell different products, such as gold area, platinum diamond ring area, jade caibao area and so on. Similar like retails store display but with high lever display solution. The material that shows display case are also key to success. When using glass chooses super white glass commonly, if have special requirement can toughen, and we also have bake lacquer glass foil. In terms of plate material, plywood, large core board, medium fiber board, decorative panel, solid wood, etc. Steel part and kick plating of mall kiosk is made of stainless steel, iron. Of course, stainless steel can be plated with champagne gold, titanium gold, rose gold, bronze and other colors. Some choose grey mirror, black mirror, tea mirror, gold mirror and other materials.